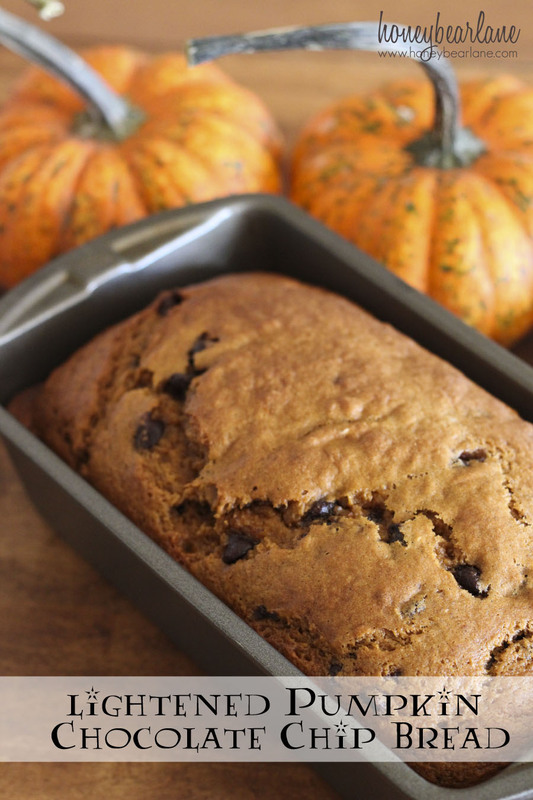 Everyone seems to have a great recipe for pumpkin chocolate chip bread. But I wanted something that was a little healthier and I was actually pretty surprised when I couldn’t find anything. So I made up my own version of a lighter pumpkin chocolate bread. I wouldn’t necessarily call it healthy, but it’s a little bit less guilt-ridden. If you only have one slice (who eats only one slice?) it’s 132 calories. And still moist and delicious. Preheat the oven to 350 degrees. In a mixing bowl, mix Truvia, pumpkin, applesauce, banana, eggs, and water. Then mix in the dry ingredients (flour, baking soda, spices.) Hand mix in the chocolate chips. Pour batter in two or three greased bread pans or mini-pans and bake for 60-70 minutes. Test at 60 minutes for doneness (toothpick test). What’s your favorite fall treat? 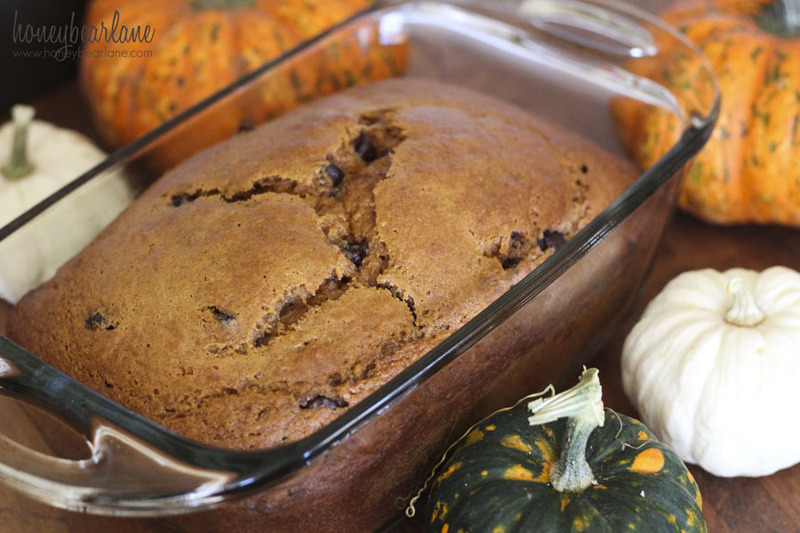 What’s your favorite thing to make with pumpkin? Pumpkin and chocolate chip just go hand and hand and I’m always surprised when they don’t have chocolate chips in anything that is pumpkin.